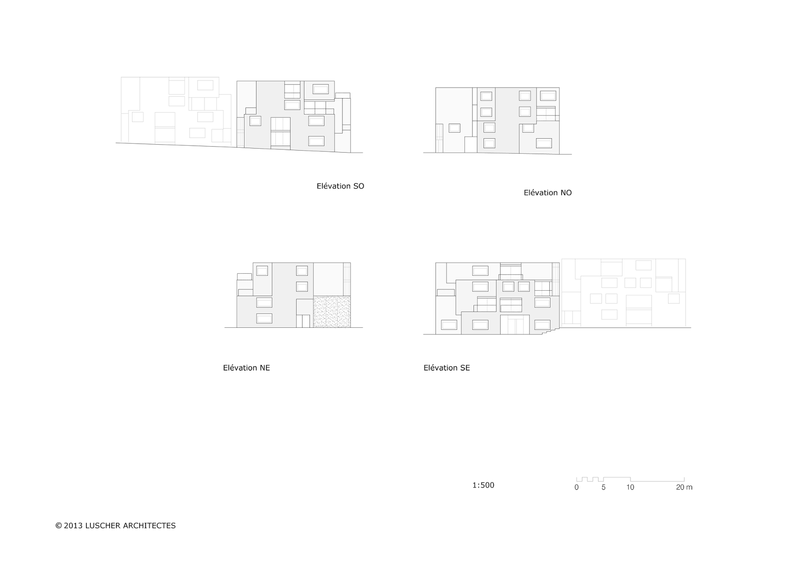 The connection with the old town is achieved by a "mirror" effect, a transposition of structural qualities of the old town, in particular from the street-front of the Rue du Grand-Pré, an extension of its spatiality, scale, visual and pedestrian permeability, with the subsequent sequencing of spaces revealed in that analysis. 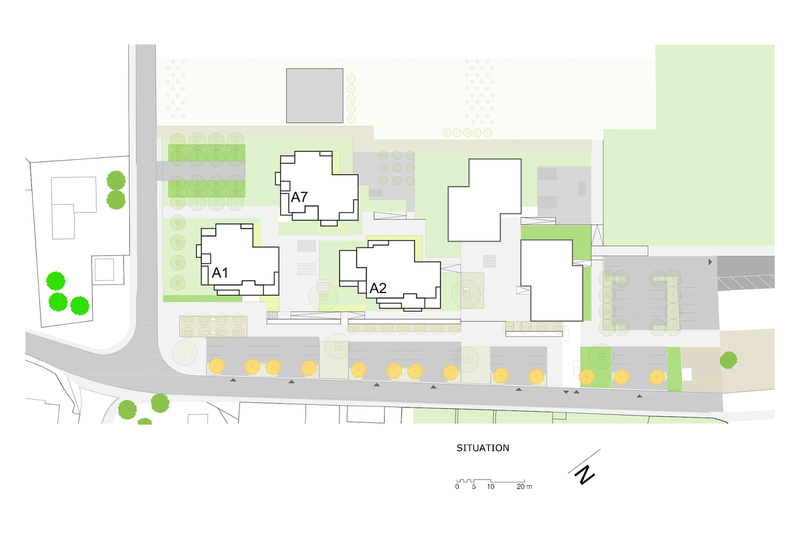 The urban project proposes a hybrid combination, merging various components of the environment into a condensed vision of the site. 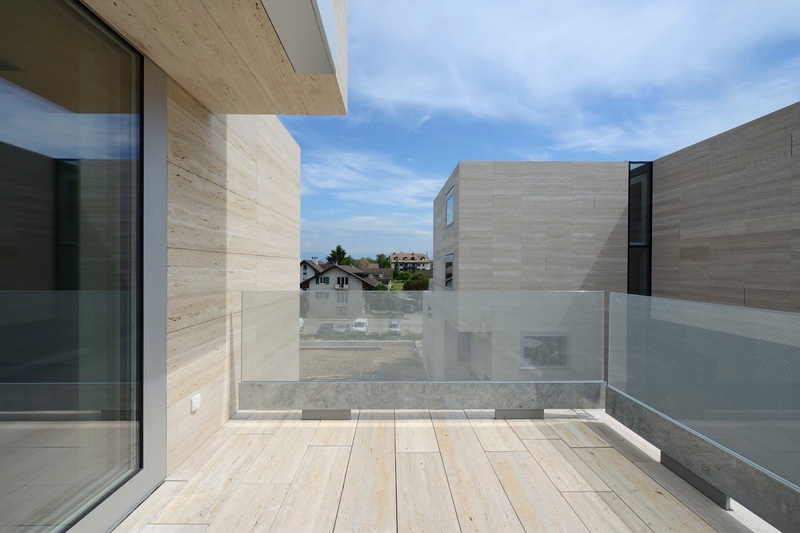 For the first stage of the built project (2010-1012), the same materials and proportions of the old town are used to maintain a certain harmony. 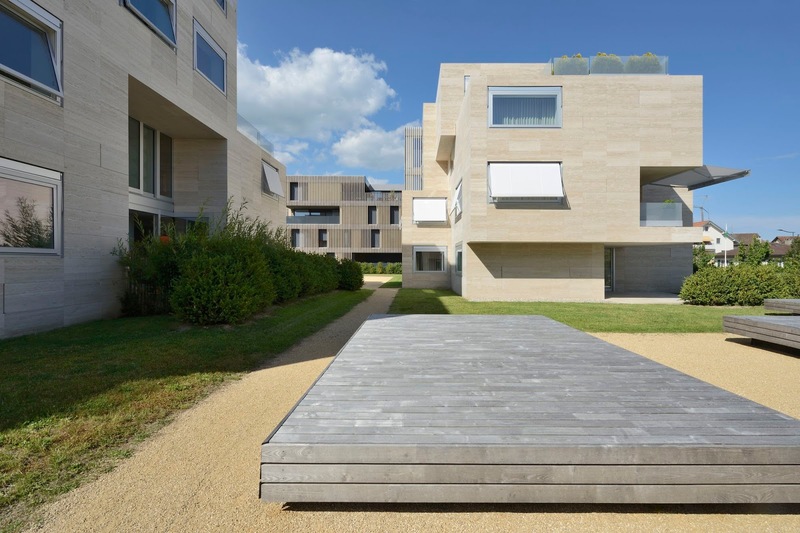 The scale, itself subject to the weighting of the vis-à-vis, results as a quasi-Cubist pictorial interpretation of the essence of the village. 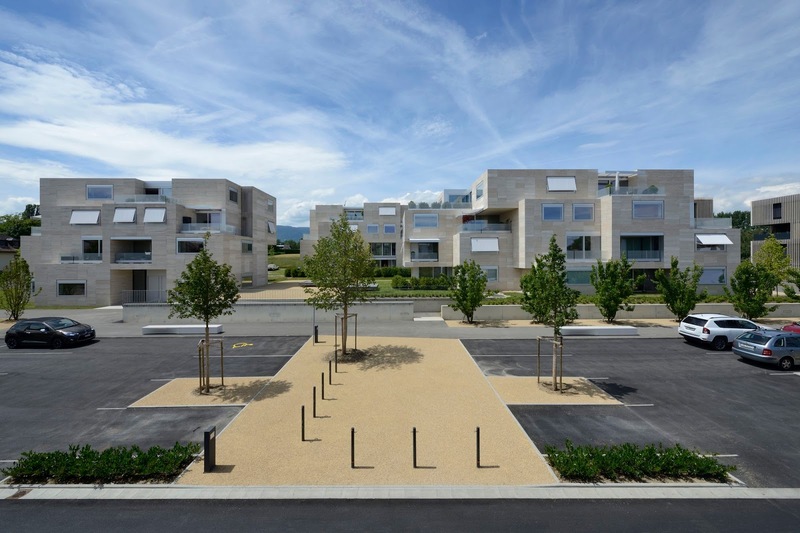 Just like the materialization of the subliminal impression left by the old town preserved in the municipality of Crans-près-Céligny, that represents a heritage and an aesthetic appeal. 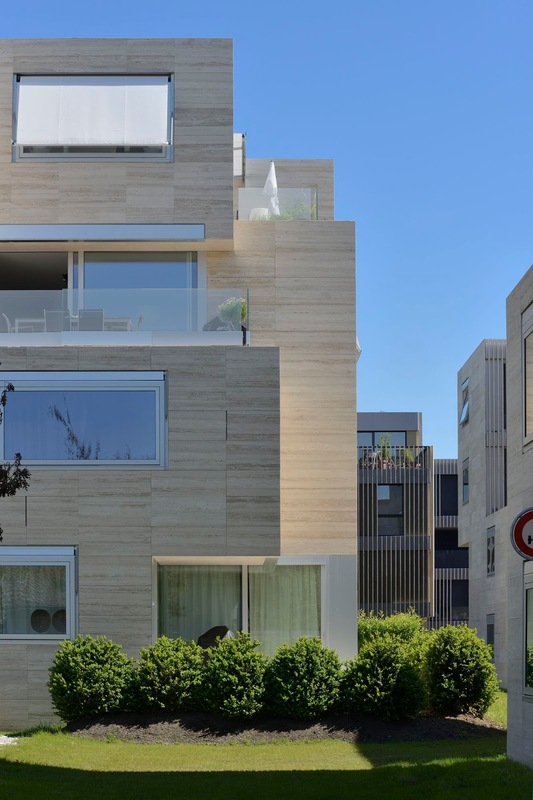 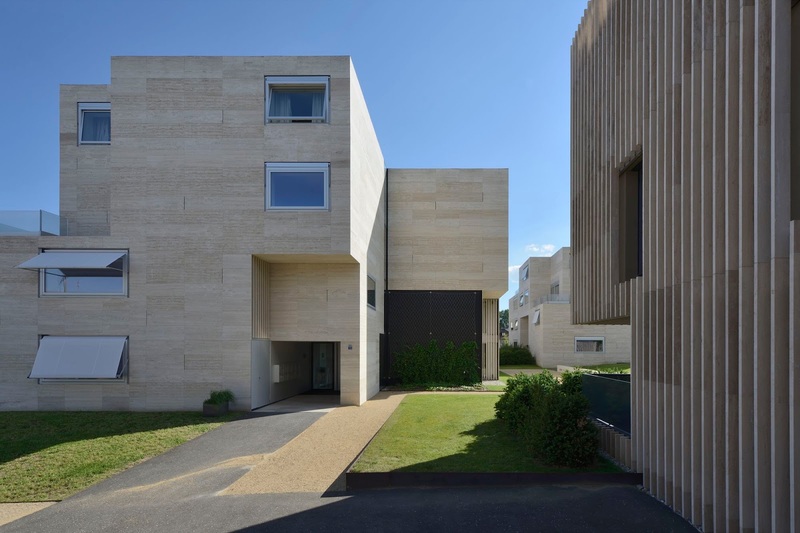 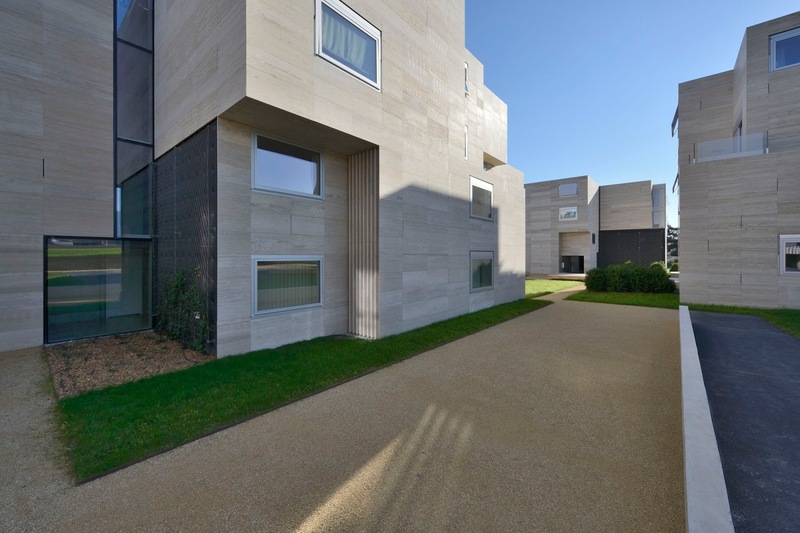 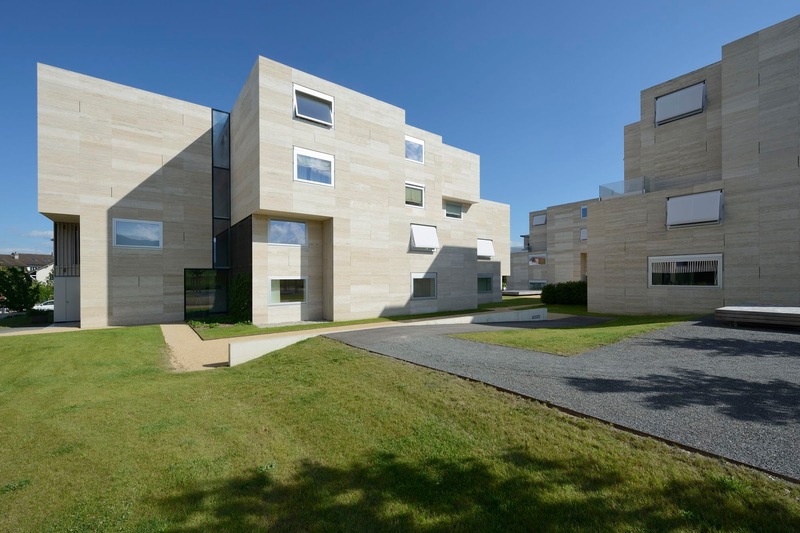 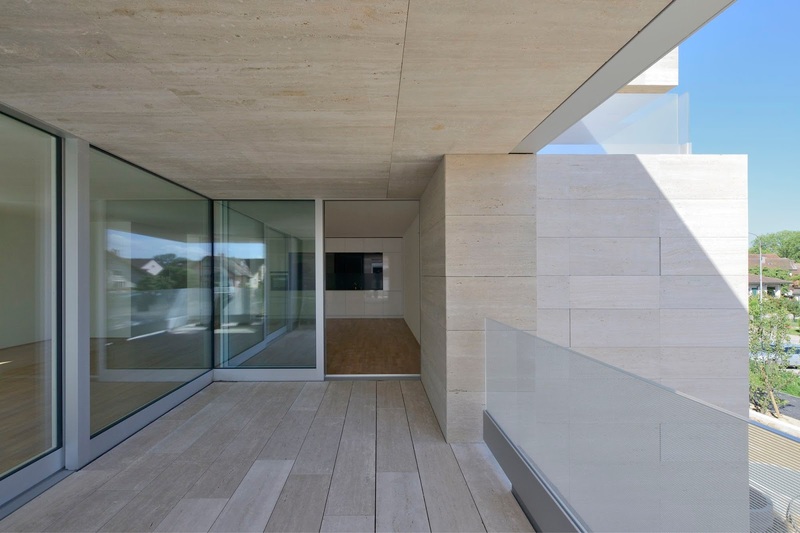 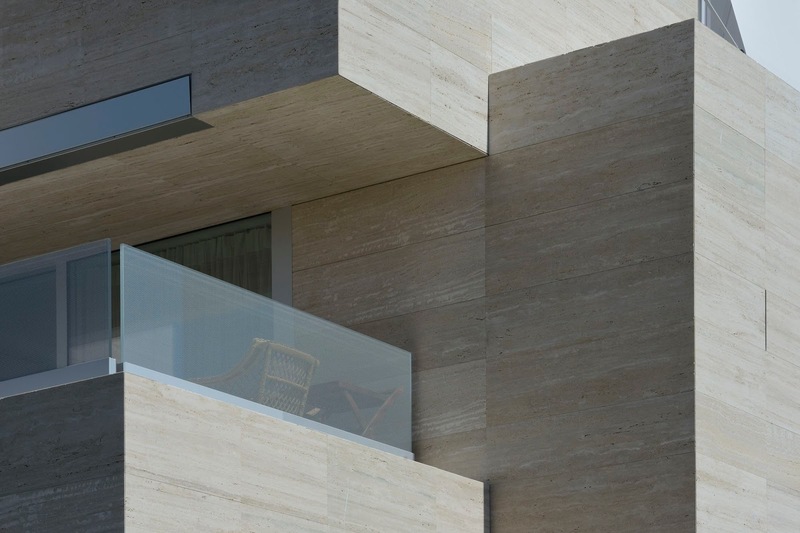 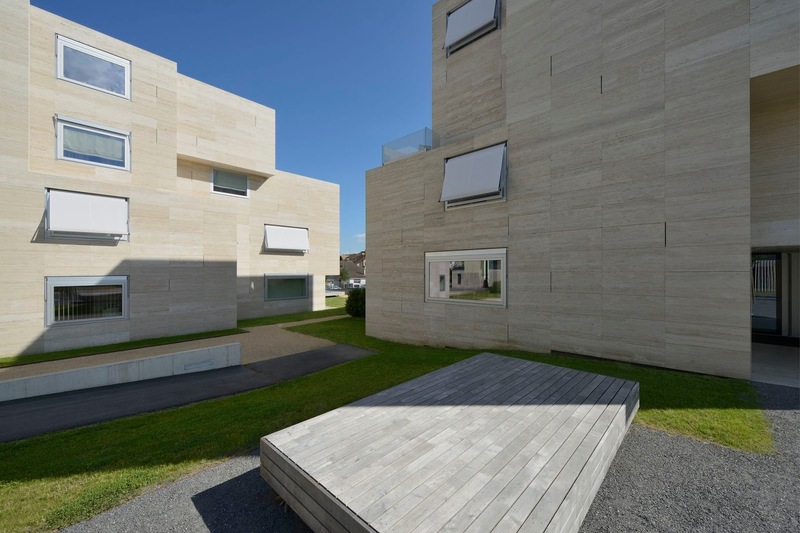 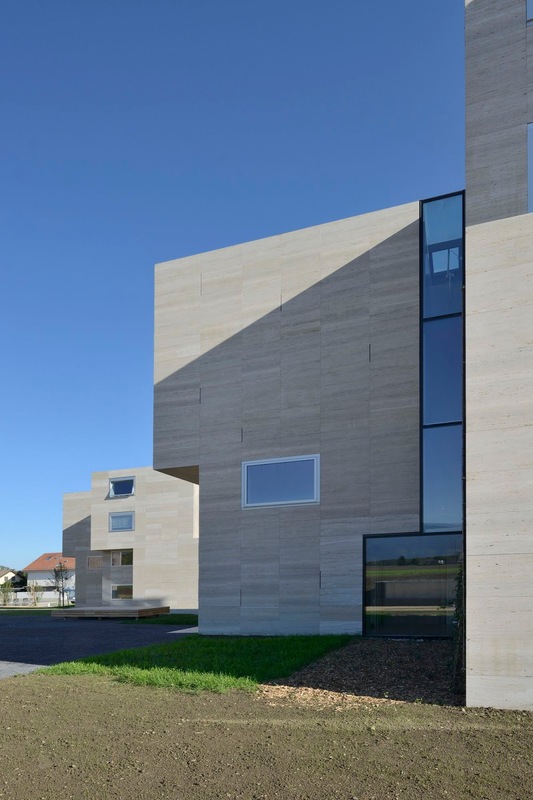 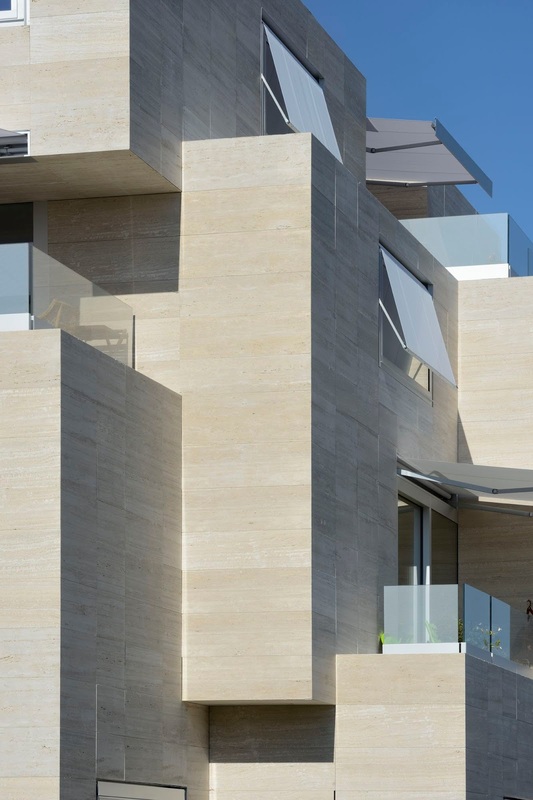 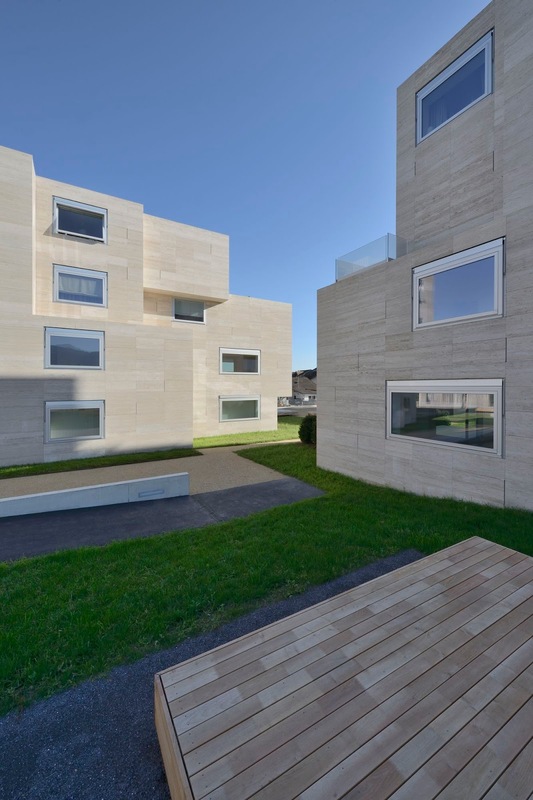 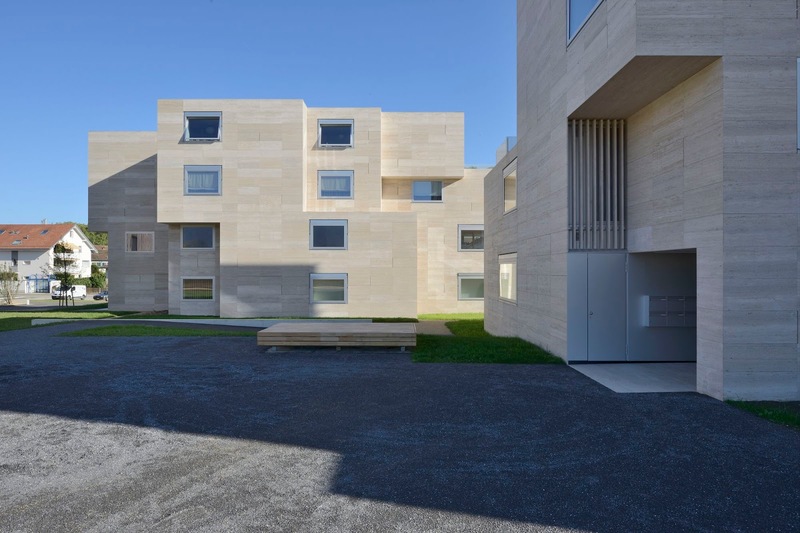 The street view plays with a complementarity principle of subtraction (Group8) and addition (Luscher Architectes) of travertine stone. 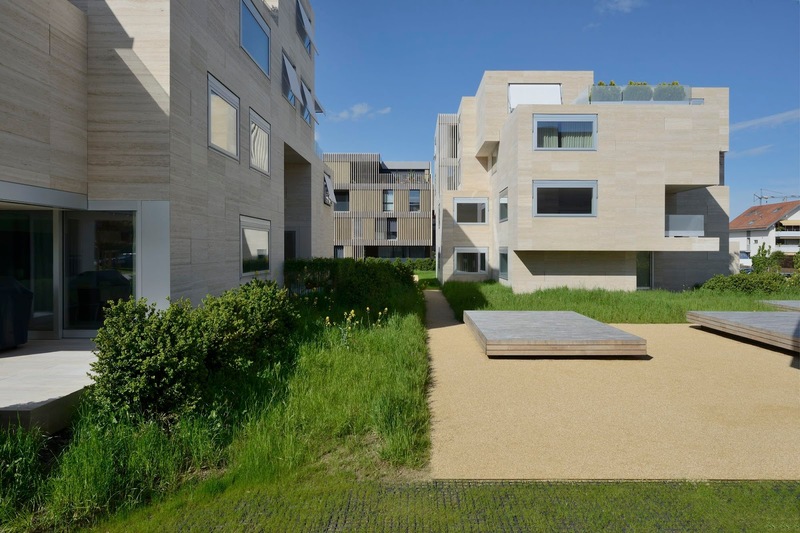 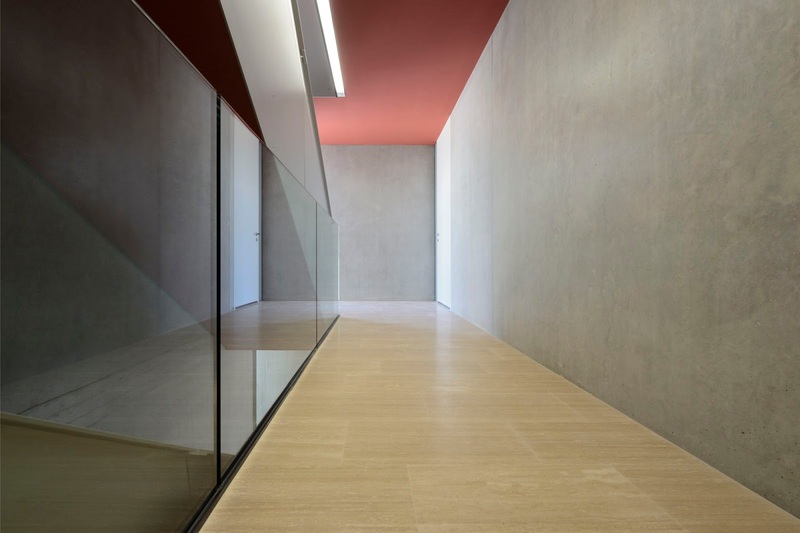 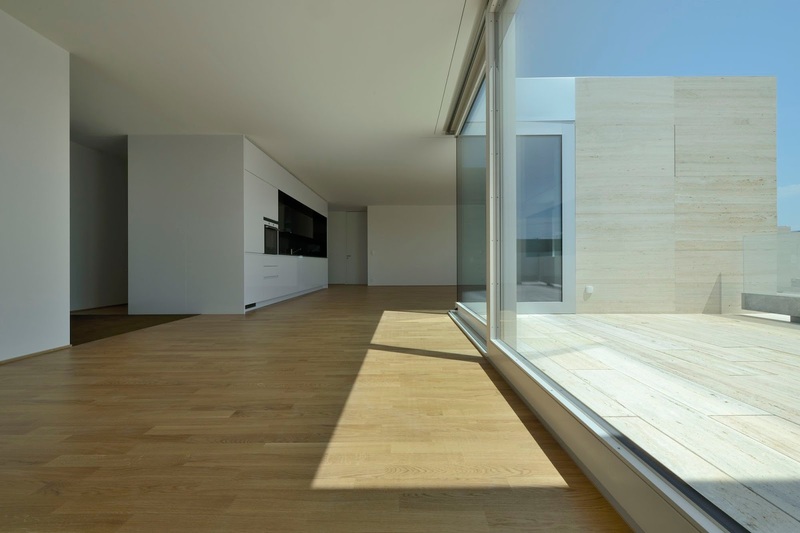 They form an overall vision following the rules of the urban plan geometries study established by Luscher Architectes. 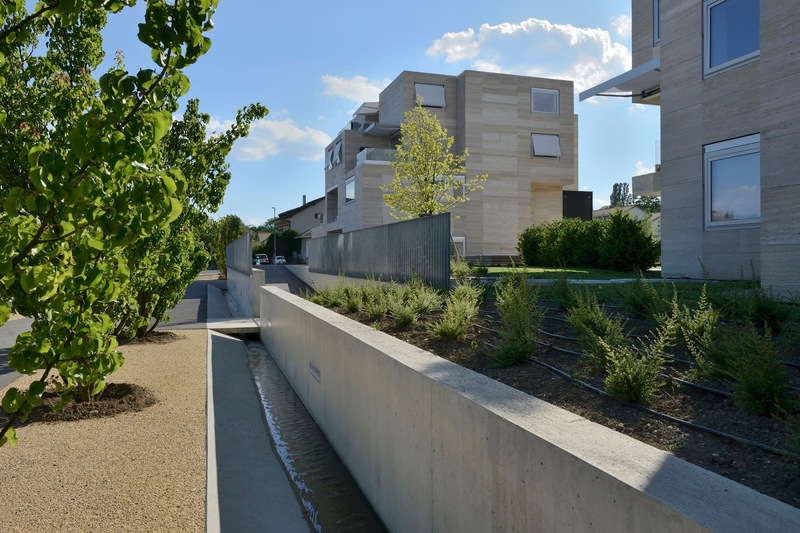 The outdoor areas of the Grand-Pré district are based on the transition from mineral to green, from public to private. 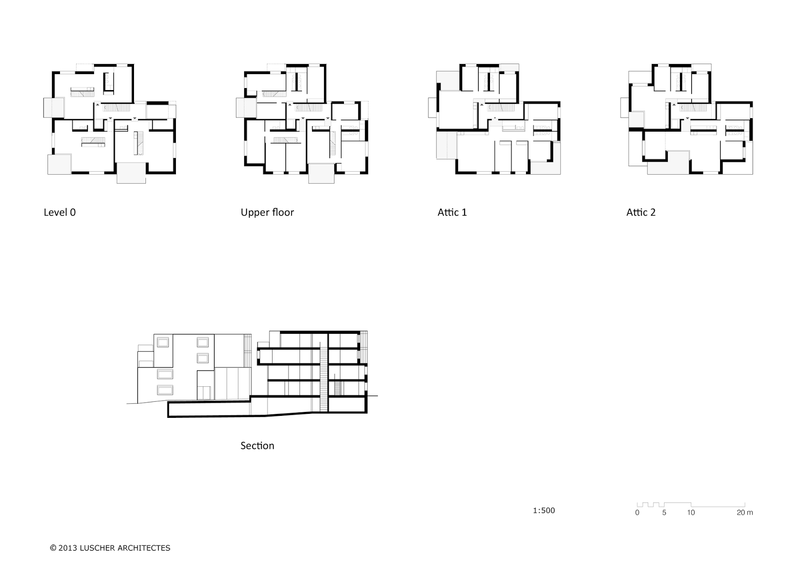 The architectural projects must implement the urban planning concept. 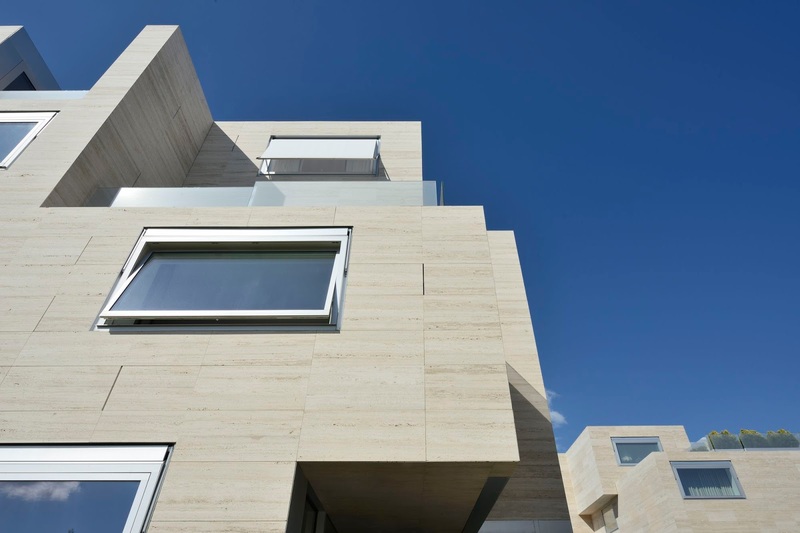 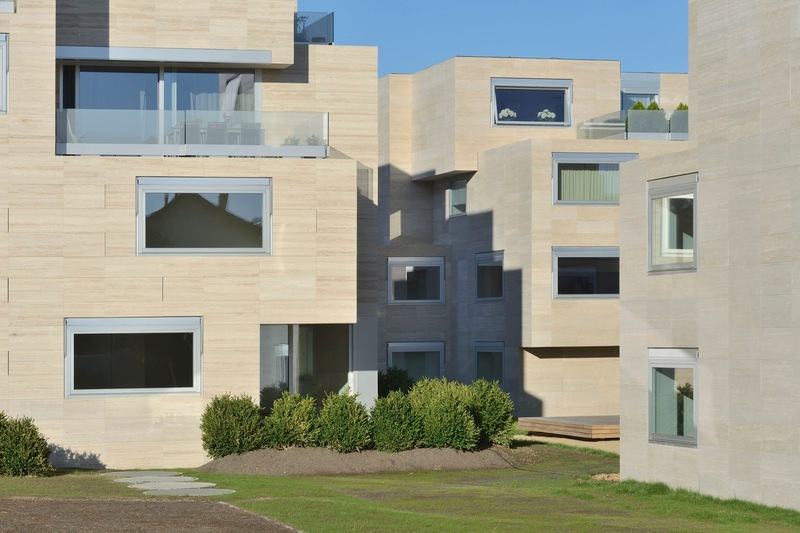 The proposed addition of travertine blocks offers a variability of built scales and an expressive link with the minerality of the existing village.